We love finding new spots to eat, drink and be merry. 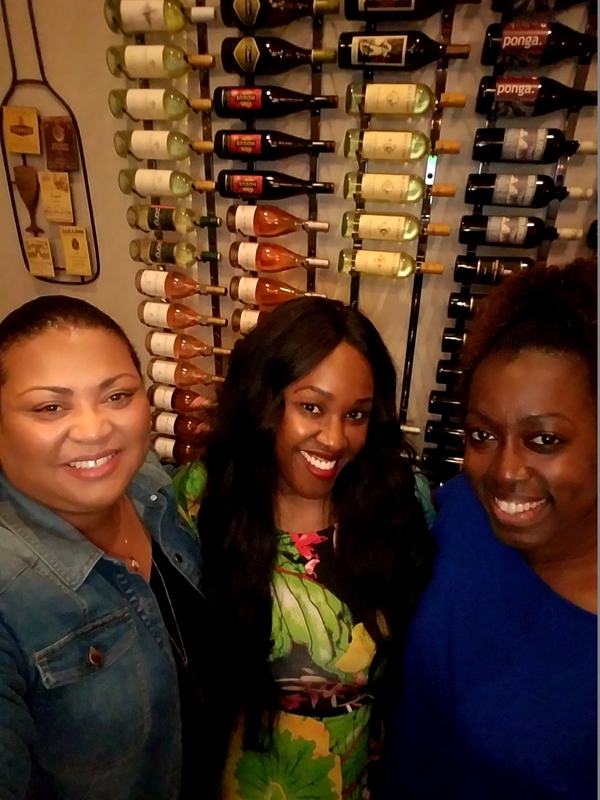 So we’re happy to share our recent hidden gem of a spot: B’s Wine Bar in Missouri City. Now this isn’t necessarily a hidden spot, but it is located in a suburb of Houston and fairly new. (B’s hosted their grand opening just three months ago). A good friend of 2 Girls Who Travel hosted an event at B’s Friday night and we were very much impressed with the venue – so much so that we wanted to share with our readers! B’s is located in a strip center on Highway 6 South, near Sienna Plantation subdivision in Missouri City. Upon entrance, you’re greeted with a dimly lit, intimate, well decorated adult venue. There was live music playing the night we attended. Patrons were seated in the open area near the stage to enjoy the music. Others opted for seating in a private area near the back. That was perfect for our small group. We could still hear the music – old school songs from the likes of Bobby Womack, Tina Turner, The Whispers and more. As is customary with any wine bar, there were bottles upon bottles of wine to select from and displayed on the walls as well. Our waitress was attentive, friendly and if she didn’t know the answer to our wine question, she found out the answer immediately. The general manager even popped in to say hello to everyone. We love friendly service!! B’s has a wine for every taste – from the drier white wines Kim prefers to the sweet reds Val enjoys. And what’s wine without a little food? After one or two (or four – but who’s counting) glasses of wine, we sampled some appetizers and cheese boards from the food menu. The meatballs, guacamole and crab cakes were pretty good and well priced. 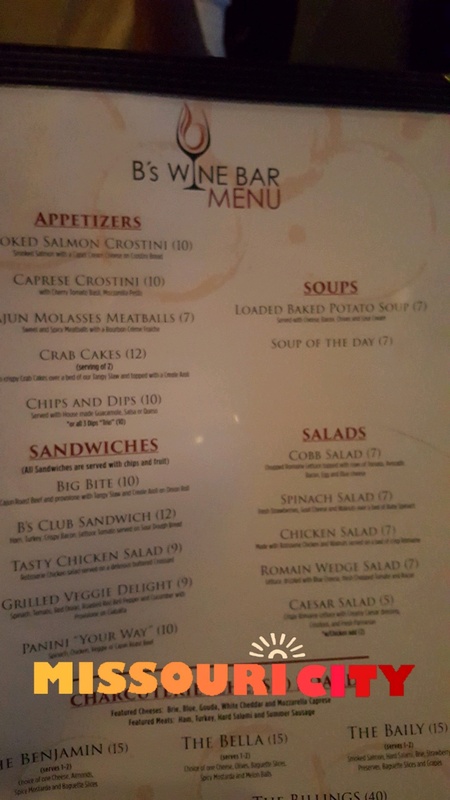 B’s offers a nice alternative to suburbanites who are looking for a nice wine bar and don’t necessarily want to drive in to town. Check their website for more information.